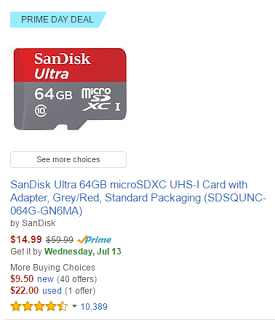 Many 360-degree cameras use Micro SD cards, and Amazon has several Micro SD cards on sale for Prime Day. One of them is the SanDisk Ultra 64GB, which I’ve used in my Samsung Gear 360. A solid-state drive (SSD) can boost the performance of your PC considerably, making it faster to edit 360 videos. 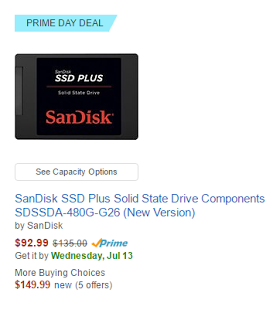 There are several on sale for Prime Day. Most of them seem to use triple-layer cell (TLC) commonly found in budget SSD drives. However, the SanDisk SSD Plus is an SSD with multi-layer cell (MLC), which is generally faster and longer-lasting than TLC. This is an updated version of the classic Viewmaster toy. With Google Cardboard technology, the new ViewMaster VR shows 360-degree photos. 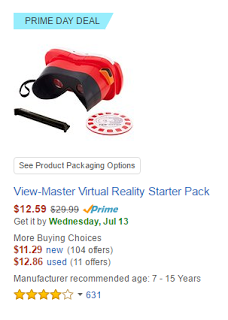 The ViewMaster VR can also be used as a Google Cardboard viewer. This is a bundle that includes the Samsung Gear VR (reviewed here) and the Samsung Level U Pro headphones with microphones. 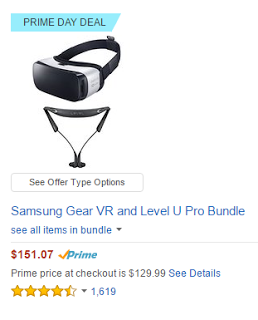 TBH the Gear VR is easily available on eBay for much less, so this would only make sense if you wanted the Level U Pro headphones. 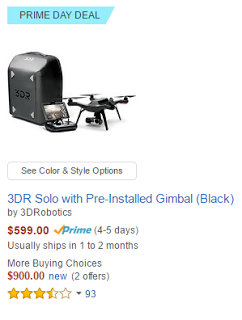 The 3DR Solo can be paired with the Kodak SP360 4k Aerial Pack to provide aerial 360 videos without the drone in the shot! Note: this order will ship in 1 to 2 months. If you spot any other good Prime Day deals for VR / 360, please share it in the comments!